One Sentence Synopsis: What kind of skeletons do your icons have in their closet? Mitch Stockridge is a best-selling author of motivational self-help books. Everyone wants to know where he gets his inspiration? Once people start coming up missing, all last seen with the author, a detective becomes suspicious when an ex-girlfriend claims he has a “monster” in his house that he feeds these people to and in return gets his inspiration. Just an ex trying to damage his reputation with crazy stories, or is it something worse? 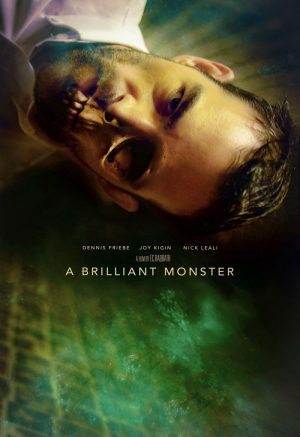 A very compelling story, A Brilliant Monster tells the tale of a best-selling author, Mitch Stockridge (Dennis Friebe), who has motivated and inspired thousands of people with his self-help books. No one would ever suspect him of foul play. 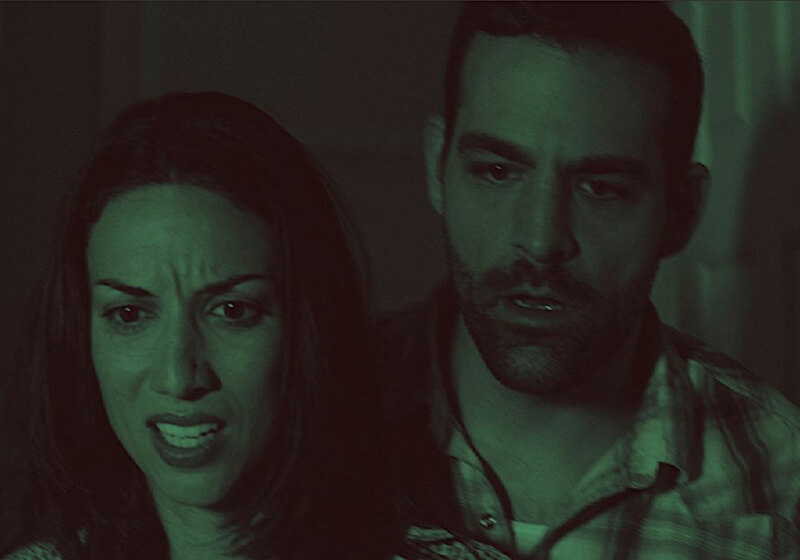 But once his ex-girlfriend Sophie (Alea Figueroa) tells the police that he houses a monster, feeds people to it, and in return gets inspiration for his books, Detective Abby (Joy Kigin) is intrigued, especially since many people have gone missing, and most of them were last seen with Mr. Stockridge. Mitch Stockridge showing his girlfriend Sophie the secret to his success. Mitch is a very angry individual, caring for his ailing, non-supportive father (David Raizor) who seems to offer nothing but negative criticism for his son’s success. Even his best friend Nick (Nick Leali) is concerned with his friend’s mental health as he notices changes in his behavior. What dark secret(s) is he hiding? Who or what is the muse for his books? Knowledge is knowing that Stockridge is not the monster. Wisdom is knowing that Stockridge is the monster. I was biting my bottom lip for a lot of A Brilliant Monster. I do that when I’m concentrating or very intrigued. I was intrigued right at the very beginning of the film. It’s a great story that kept me in suspense throughout it. I kept wondering, is the monster real, or is it later going to be revealed that it was something else? This may sound like a weird comparison, but it reminded me of a more serious, suspenseful Little Shop of Horrors. I thought I had the ending figured out, but I was wrong! So kudos for not being predictable. The actors were all outstanding. Dennis Friebe did a great job coming off as a big-headed, but self-loathing prick. The frustration and anger really came through in his emotions. The chemistry between him and David Raizor was great. There were times when I wondered if his father was really the monster. Nick Leali did a good job of adding some comic relief to the film. Joy Kigin was full of emotion as Det. Abby. I applaud all of them for their performances. The cinematography was very professional and good, especially when it came to the lighting effects. I thought it was a nice effect with the lighting changing with the mood and monster. Music selection and score was also very good. Technically speaking, the film doesn’t come off as cheap or amateur. The suspense in this movie will intrigue the Gothic viewer. There’s a very dark atmosphere throughout the film. It also almost serves as a warning to bullies, and what could happen to those who are bullied. I know that many of us in the Goth scene have dealt with bullies all our lives. The supernatural element of there being a monster-muse is pretty fitting for Goths as well. A Brilliant Monster is disturbing to say the least, and amazing to say the most! Reverend Leviathan is the Music & Media Editor at DarkestGoth Magazine. He has been part of the Gothic community since his high school years. He released an album in 2008 entitled "Eden's Graveyard" and has also self-published a book, Gothlic: The Testimony of a Catholic Goth. He specializes in music (Goth, ambient, industrial, horror punk and doom metal) and independent films. You can follow him at Facebook.com/revleviathan7.